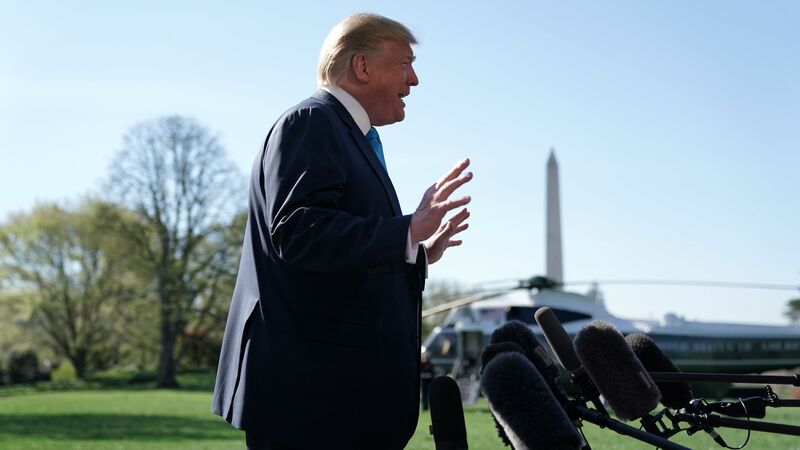 Trump on Assange arrest: "I know nothing about WikiLeaks"
President Trump said on Thursday: “I know nothing about Wikileaks. It’s not my thing,” after he was asked about the organization in the aftermath of Julian Assange's arrest, per USA Today. Reality check: Trump said he loved WikiLeaks at an October 2016 rally in Pennsylvania, according to The Hill. The Washington Post put together a video collection of all the times the president referenced WikiLeaks on the 2016 campaign trail. Flashback: WikiLeaks sent Donald Trump Jr. a series of Twitter direct messages between September 2016 and 2017, with the president's son responding to some of the messages sent ahead of November's election.